Kingdom Biofuel is very delighted to present some of the key reasons why we as a company believe that the Ravelli stoves are the very BEST PELLET STOVE on the market. These wood pellet stoves are a serious consideration for every home/business owner who wants to heat his place with a pellet stove that is state of the art in both design and technology, delivers great performance, burns clean and super efficient, and this all for a great price. 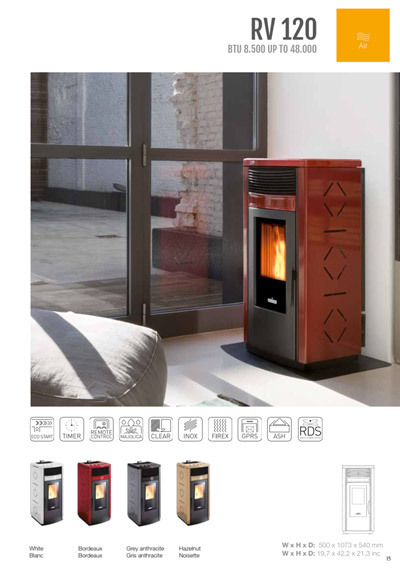 Why Choose the Best Ravelli Pellet Stove? Beautiful Pellet Stove Designs: We shouldn’t forget to mention that we all want stoves in our homes that are great in quality, but also aesthetically pleasing to the eye. 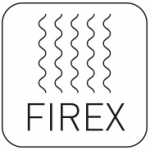 The wide range of different styles and designs, has for every setting the right stove. 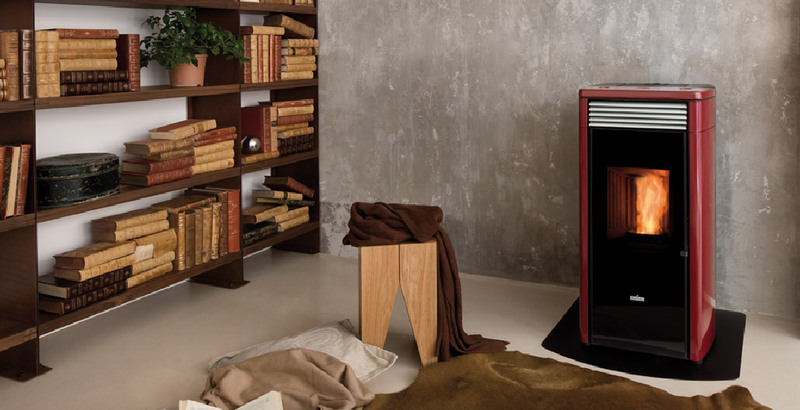 No matter if rather classic or modern in design, the Ravelli stoves will be the ideal pick for your environment. 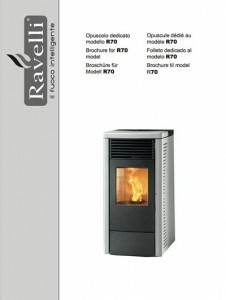 Ravelli Flow System: Ravelli has two stove models that are ductable. With those stoves, you have the option of heating two additional rooms, even on different floors with one and the same stove. You can even connect those stoves to your existing ductwork. With this technology that includes individual fans, you can heat multiple rooms with their own thermostat and individual heat. Ambient Humidifier: The recessed ambient humidifier helps improve air quality in dry rooms. Natural essences and oils can also be added to create a pleasant, relaxing environment. Ash Compactor: Ravelli stoves are cutting edge on low energy emissions and low environmental impact. The continuous air recycling counters dust movements and the spread of bacteria, improving air quality. Glass Cleaning System: A supplementary air duct over the door creates an air cushion between the flame and the ceramic glass, to keep the door glass clean for many hours of burning. Pellet Heat from your Pellet Stove that Lasts Longer: With the FIREX 600 combustion chamber in our Ravelli Francesca Pellet Stove, heat that is generated from the pellet fuel is stored and then gradually released. This both improves the pellet stove efficiency and keeps the combustion chamber free from residue. 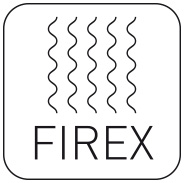 The FIREX 600 combustion chamber gives the same heating effect as with natural wood burners. Control the Best Pellet Stove in PA Remotely: Add a GPRS kit to your pellet stove in PA and you will have the advantage of controlling your stove from afar. If you are gone for the day and forgot to adjust the thermostat. No problem. 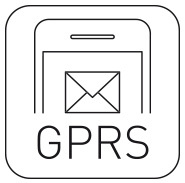 With the GPRS system, you can send the stove a short message to make an adjustment or turn the stove on or off. You even get a message confirming the adjustment was made successfully. Timer and Thermostat on Your Pellet Stoves PA: A timer and thermostat allows you to set ignition times and finish times on your pellet stoves. Now you can burn pellets even more eco-friendly way by choosing when to fire up your pellet stove. If you are coming home from work at certain times of they day, set the timer to begin just before getting home and you will return to a warm home! 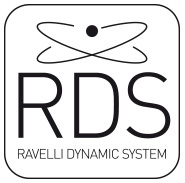 More Efficient, Safer and Cheaper Pellet Heating: RDS stands for Ravelli Dynamic System, and is a unique technology that dynamically analyzes and regulates combustion parameters and is ensuring maximum efficiency and safety from your stove. It constantly monitors variable conditions in the Ravelli pellet stoves such as the quality of the pellets you burn, flue draft, altitude and other factors, and is able to regulate the wood pellet flame accordingly to burn always at optimum efficiency. If you buy the Ravelli stove, you will have a system that is unavailable anywhere else!